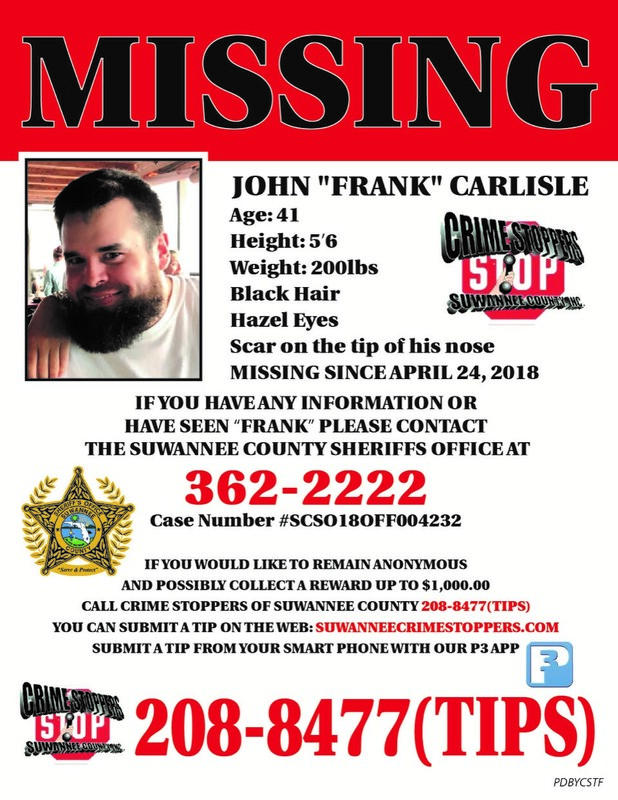 The Suwannee County Sheriff's Office is searching for these missing persons. 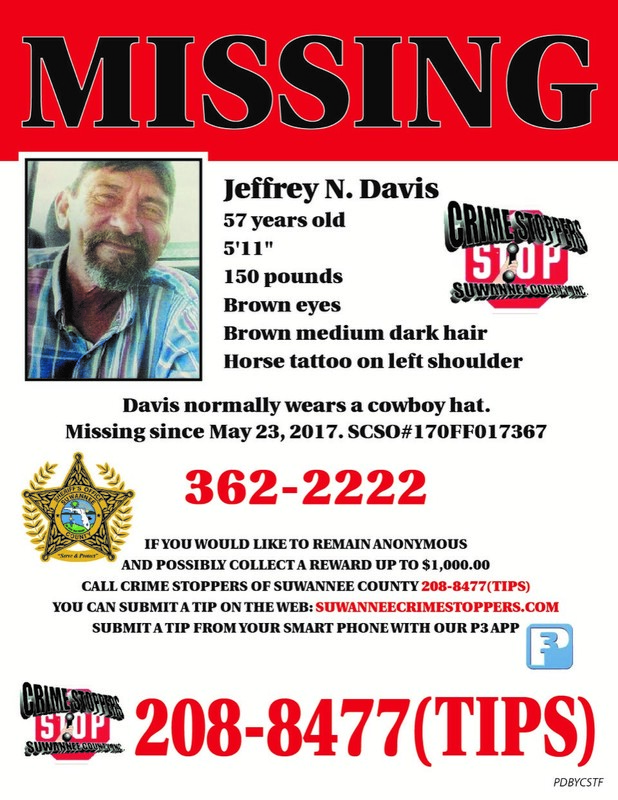 Please if you know of any information that could solve these missing persons, call our tips line to stay anonymous or call the Sheriff's Office. Thank you to Graphic Bites for the fast turn around in getting posters and artwork back to us to assist us on solving this crime. REMEMBER SEE SOMETHING SAY SOMETHING! 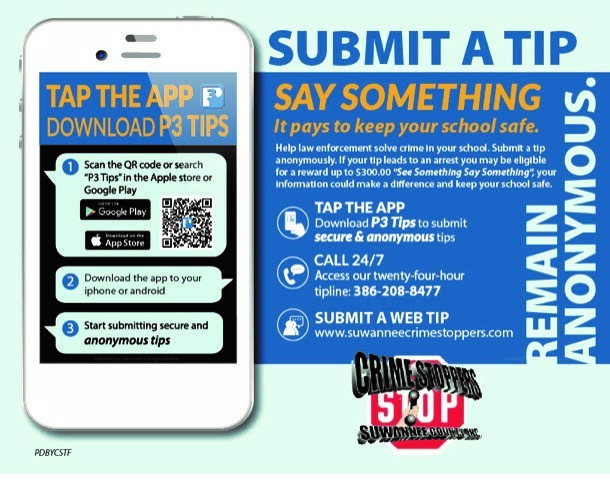 REMEMBER YOU ARE THE EYES AND EARS OF OUR COMMUNITY, GET INVOLVED BUT YOU CAN STAY ANONYMOUS. HELP PREVENT A CRIME IN YOUR AREA.